The Fitness Industry is an immense, thriving, global industry. From open-platform “Big Box” gyms to sport-specific Training Studios, there is a seemingly endless amount of different types of Training Facilities, all with their own perks and benefits. Around the world, people are demanding new and varying training styles and personalized instruction to reach their Health and Fitness goals. In comes F45, which stands for Functional 45. Functional Training is the engagement in exercises that mimic or recreate everyday movement. These types of exercises typically involve the use of your full body and multiple muscle groups. This style of training builds and sculpts lean, functional muscle – Lifting, Squatting, Jumping, Twisting, Pulling, Pushing, Punching, Kicking, Rowing, Biking – all of these movements qualify as “Functional” and all can be found at F45 Training. The fixed, 45 minute duration of our workouts exists to provide a timing structure to maximize our members’ growth and progress. Our daily workouts vary the amount of exercise stations, the Work Time/Rest Time ratio and the number of repetitions through the “Exercise Circuit” of each day. This provides a challenging workout for our clientele that is always evolving and never the same. 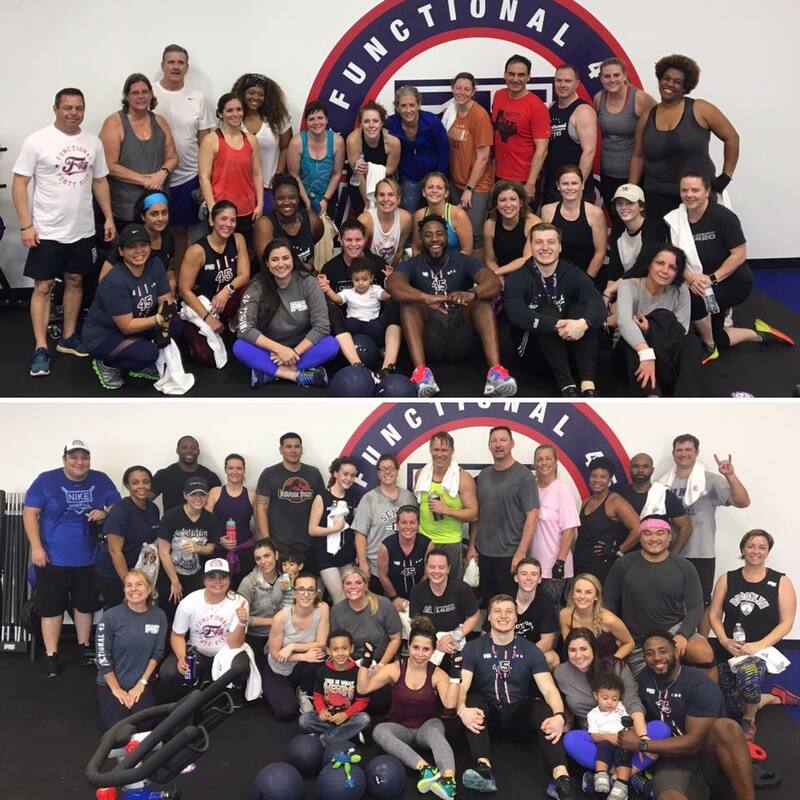 Trainer and Co-Owner Milton Lewis, armed with his 12 years of professional experience in the health and fitness industry, saw a need to bring a fresh, new way of working out to the Katy area. Partnered with his team of trainers, they help bring classes throughout the day starting at 5AM and the last class starting at 6:30PM, 7 days per week. Stop by at anytime to sign up for a Free Trial!